Dr. Yan serves on the ILiAD Executive Board and currently is the Director of the Office of Technology Transfer at the University of Miami. Previously at UM, Bin served as the Director of Business Development for the Wallace H. Coulter Center for Translational Research and a licensing professional. Bin's work experience also includes serving as the Associate Vice-President for Licensing and Legal Counsel for a publicly traded biotechnology company, an Assistant Director with University of Florida Office of Technology Licensing, and a licensing officer at the University of Saskatchewan. Dr. Yan has served on the Selection Committee for the Coulter Foundation’s Translational Research Award and the Immigration Representation Committee for the New York State Bar Association. She was also a member of the Membership Committee and a liaison to the Public Policy and Advisory Committee for the Association of University Technology Managers. 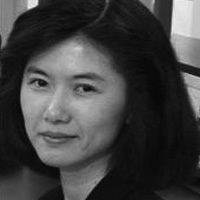 Dr. Yan earned her PhD in molecular biology from the University of Florida and a JD from the University of Saskatchewan.